I absolutely love the internet, and I love the enthusiasm with which we modelers engage in our hobby. Occasionally it can be annoying, but even when it is -- if you look at our community with the right spirit -- it can be amusing at the same time. 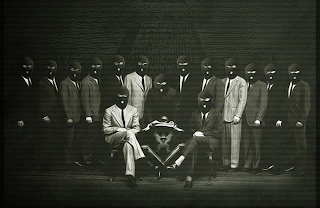 We take ourselves quite seriously, and those moments give us some of the best of 2013. Oh man, this was tough, but my favorite question came from Britmodeller (I think) where someone asked what color paint was used on the back of the rearview mirrors on the MiG-23. Listen, I seek accuracy myself, but is there a point where we obsess too much? Other serious questions on the forums tackled the color of Soviet tow bars and whether helicopter crews wear Belleville boots. One of the most informative blogs on the 'net these days is Tommy Thompson's Tailhook Topics. It shows how one blog can provide incredibly useful information when the blogger is a historian and modeler. Earlier this year, in conjunction with the release of Trumpeter's 1/48 A-3 Skywarrior, Tommy wrote about variants of the A3D fuel vent. I think it's wonderful that we are interested in something this esoteric. You can bet that if I build an A-3, I'll be referring to this article! I'm smitten by two weird kits that were released this year, so I have to highlight both. 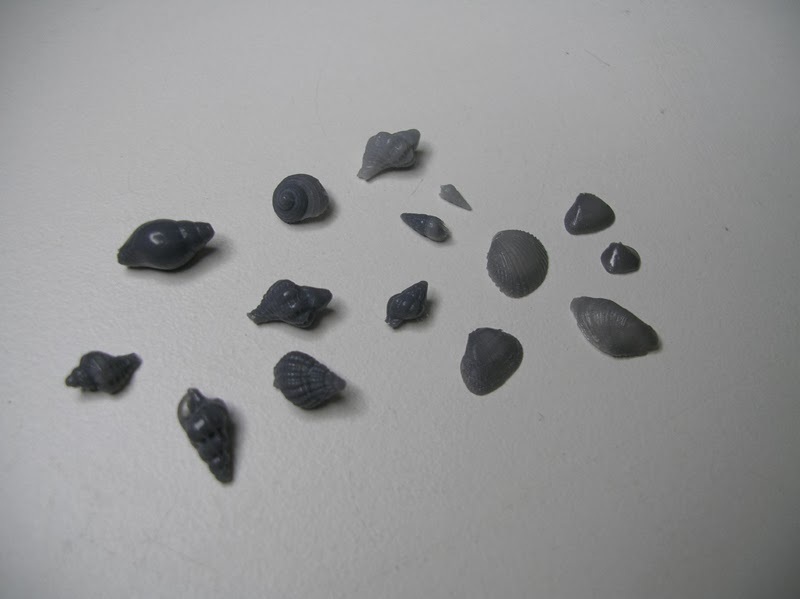 First we have tiny (2mm - 9mm) sea shells suitable for that 1/12 scale beach diorama you've been planning. 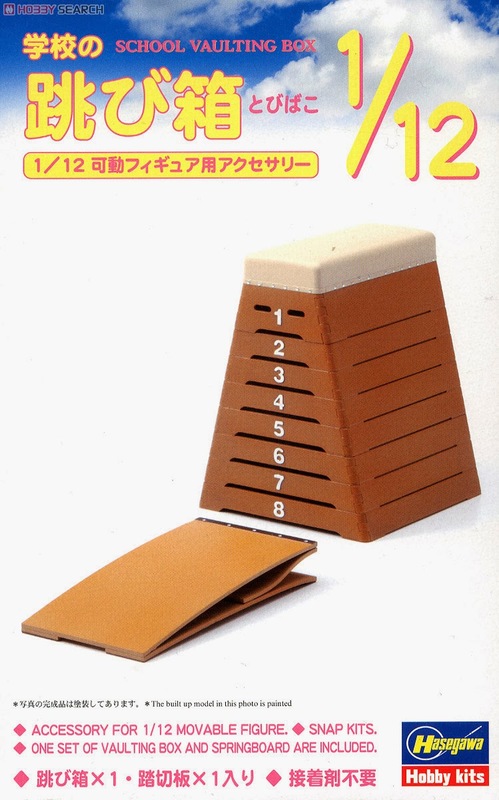 Next we have a Hasegawa 1/12 scale vaulting box, available from Hobby Search. If they release a pommel horse next year I'm going to petition the IPMS National Contest Committee for a new category for athletic equipment. Passion can be a good thing, but it can make sane people a little nutso if left unchecked. This year our passion led a few modelers down a dark road where Squadron mail order took more heat than Miley Cyrus. Well, almost. First there was an online conversation about Squadron’s postage costs for their customers outside the United States, with some modelers claiming that Squadron uses those costs as a profit center. Less than a month later there was a conspiracy theory that Squadron was intentionally “sitting” on their stock of Hobby Boss 1/32 P-61s, holding back distribution to other vendors while they reap the profit from the sale of the kits. The company president even had to issue a public explanation for the situation! The first conspiracy theory is ridiculous, because keeping shipping costs high clearly deters international buyers, and why would any sane business do that? The second is ridiculous because sitting on stock is risky; if you can sell a product, you do so. Hold it back too long and you run the risk that the demand will dry up before you can sell it. 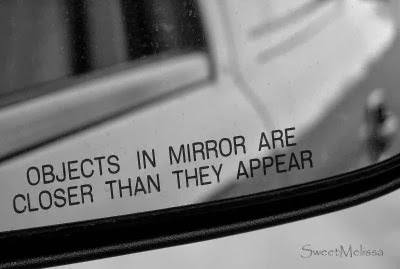 I wonder what we’ll see in 2014. Did Sprue Brothers secretly recover the molds for the Otaki 1/144 C-5 from the floor of the Pacific Ocean and not tell us? Are profits from HK’s 1/32 bombers being funneled to North Korean nuclear programs? C’mon guys, get a grip! Or don't; I can use a good laugh now and then. Great post there seems to be so much going on that i am oblivious to out in web world. I enjoyed the read and have a great 2014.